When you’re suffering after the loss of a loved one or the breakup of a relationship, rely on meditation for grief and loss. There are some excellent meditations for grief. Meditation can help you to control your emotions. And it can also help you to handle painful memories from the past. In fact, meditation is one of the most effective ways to soothe the physical and emotional pain associated with grief. Grief is a strong emotion. When we experience loss and bereavement it is natural to feel grief and loss. And most of us have experienced those wrenching symptoms of a tense heart, numbness of the spirit, and of course, so many tears. Sorrow and grief are natural after loss. But for some, moving forward is impossible. 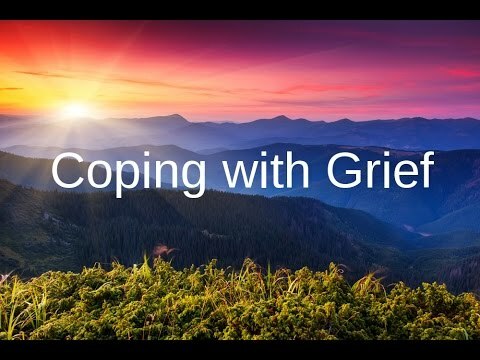 2 to 3 percent of the population is affected by what is called “complicated grief” (a clinical disorder for people with prolonged grief), and 10 to 20 percent of the time this is after the death of a spouse or lover and especially when the loss is sudden or violent . Complicated grief requires therapy and counseling. But there is good news: You can overcome grief with meditation. And you can use mindfulness and meditation to create inner peace for yourself. If you want to overcome grief with meditation, you first have to ask yourself what the nature of your grief is. What is it that causes suffering? Buddha taught that the root of all suffering (including grief) is attachment. This is one of the Four Noble Truths of Buddhism. Attachment is when you hold on to something in your mind. When you use meditation for grief and loss you let go of that attachment. For instance, imagine that you have lost your father (something I personally went through a couple of years ago). Now the reality, of course, is sadly that your father has passed away. But because you love your father so very much you are not simply able to let him go. Your mind holds on to the image of your father as a healthy man. This is called attachment. Your mind is attached to the idea of your father as a healthy man. Now imagine that there are two forces. The other force is your idea of reality (for instance, your idea of your father being alive). These two forces are working in opposition because the reality is that the person has passed, but your mind is attached to the idea of them being alive. When any two forces work in opposition, there is strain. And the strain is the pain in your mind; your feeling of grief and loss. The only way to stop the pain of grief and loss is to let go. When we use meditation techniques for grief, we teach the mind to let go. Mindful rituals help with grief because they help you to let go. For instance, a funeral, celebration of life, or a private moment. These rituals help us to let go and move on, and science proves they work. Rituals like funerals and “celebrations of life” help to relieve grief. Science proves it. Research published by the Journal Of Experimental Psychology studied the psychological affects of rituals. The researchers looked at religious rituals and informal rituals and observed how these rituals helped with bereavement. The researchers asked 76 university students to write about a time of loss and how they coped. The losses were all either death or the breakup of a relationship. They were also asked to describe the rituals they performed and how they handled their loss. Most of these rituals were private. Only 10% were public and 5% religious. The rituals including things like playing the favorite song of someone we have lost, and writing letters expressing how they felt. In a continuation of this study, researchers looked at how these rituals affected 247 participants, and half the group were asked to write about how they felt. Writing about the rituals afterwards helps us to feel more control over our loss. 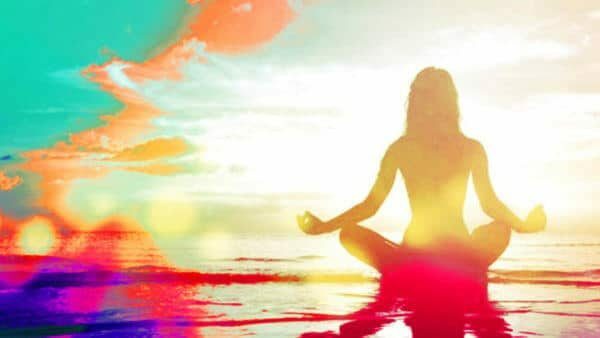 That’s why a mindful ritual is the best meditation technique for grief and sorrow. Ubbiri was one of the first women Buddhists. She had lost her daughter and was stricken with sorrow. Her daughter, Jiva, was the daughter of the King, but she died soon after birth. Ubbiri mourned the loss of her daughter every day at the funeral ground. One day the funeral ground was full of people. The Buddha was traveling through the region and was teaching the people. Ubbiri listened to the Buddha but was again overcome with grief and loss. She ran to the riverside and wept. Buddha heard Ubbiri’s crying. He longed to help her. Ubbiri told Buddha of her loss. Mother, you cry out “O Jiva” in the woods. Have burned in the funeral fire. For which one do you grieve? With these words, Buddha reminded Ubbiri that she was not alone, that we have all experienced grief and loss. We are together in this pain. Grief and loss touche us all. It makes us feel alone. But in the pain of grief and loss we are more together than ever. Take solace in the wisdom that in grief, we are one. The key to overcoming grief is letting go. But boy is it hard sometimes. It’s hard because of the inner struggle. That’s why it’s a good idea to use meditation for grief. Have you ever felt that you are experiencing inner struggle about your loss? When you are trying to overcome grief and loss you may feel as though one part of you is pulling one way, the other the other way. When my father died I remember desperately wanting to say the things I never got to say (my father’s death was an accident and sudden, so there was no time to say what I needed to say). Times like these we are torn in two. Part of me wanted to accept my father’s death so that I could move on and look back on him with love and happiness. But part of my just couldn’t let go. So I was torn. Buddhism teaches that life is impermanence (watch: How To Stop Time). When we accept impermanance, we relieve sorrow and loss. When we fail to accept impermanence (when we cling) we create a rift in the mind. This rift in the mind is where the grief comes in. You have pain because part of you is fighting to overcome grief and loss, fighting to accept reality and let go, and the other part of you is fighting to hold on and never let go. So your mind is at war with itself, one part attacking the other. This makes is impossible to overcome sorrow after the death of a loved one. One of the reasons highly emotional people are unable to control their emotions is because they cannot stop this fight in the mind, the fight in which one part of them is pulling one way and the other part pulling the other way. When you use meditation for grief and loss you balance your emotions. This returns you to your natural, calm state. If you want to have inner peace, you need to stop the war that is going on in your own mind. To do that, we let go. And to let go, we meditate. So how do you use meditation for grief and loss? When using meditation for grief and loss the aim is to let go. We need to end the inner struggle. We need to stop holding on so tightly. We need release our loved ones back into the universe. Imagine that your grief is not something in your own mind. Imagine that it is a physical thing. Imagine it as a weight that you need to let go before you injure yourself. Notice how this analogy works perfectly. You are carrying a heavy weight (your emotional burden) and you do need to let go before it harms you. To let go of the weight you literally let go. What happens to the weight after that is up to the world. The world will take the weight, and of course gravity will drop the weight to the ground where it will come to rest. And the exact same thing needs to happen with your mind. Let go of grief by dropping those thoughts in your mind. Stop clinging. Remove the attachment. Let go. Release the person (or the relationship) into the universe. 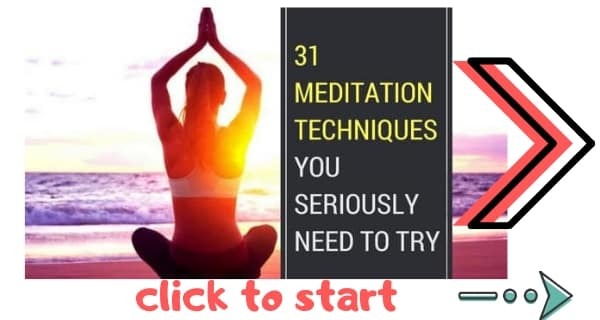 You may have never meditated before. In which case, read our beginners guide to meditation. I’ll explain meditation very briefly. Meditation is focusing your mind on reality (and normally on one specific part of reality). When you meditate you focus your mind on reality. You let go and let the world take over. And you do that by focusing on the present moment. You might focus on your breathing, on the sounds around you, on a movement (for instance yoga and tai chi) or anything. What matters is that you are focusing your mind on the present moment. When you focus your mind on the present moment in this way, you let go and let the world take over. And just as when you drop a weight the world takes over, drops the weight to the ground and lets it rest there, the exact same thing will happen when you meditate. You will give your mind over to the world. The world will drop those thoughts (which are your grief) and you will be free. And do not worry when your eye get wet. If that happens, just read my explanation of why you cry when you meditate. This meditation for grief and loss will help you to let go in a positive way, while honouring the person (or relationship) that we are releasing. You will need a personal object from the individual who has been lost. It must be an object you are willing to let go of (literally). 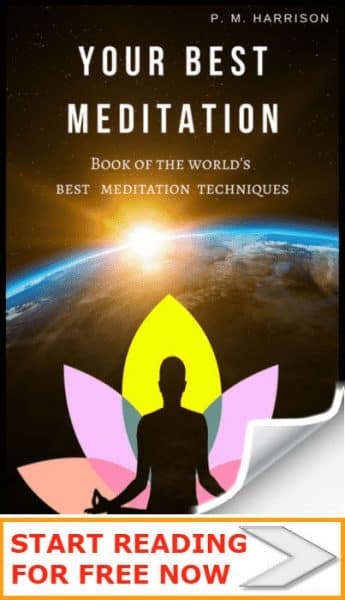 If there is negative energy surrounding the loss, read my guide to overcoming bad memories before you do this meditation. Sit in the garden (or, if indoors, sit somewhere quiet and peaceful) with a personal object from the person or from the relationship. The absolute perfect spot for this is by a body of water or stream / river. Close your eyes and focus on your breath for 15 breaths. Bring the person to mind (if you are doing this for a breakup or divorce, bring to mind the two of you together). See the person (or the relationship) in a happy moment. Meditate on this happy moment for 15 breaths. Imagine saying anything you need to say to them. “I love you.” “Thank you.” And yes, “I am sorry for…” Take 25 breaths to do this. Imagine hearing them saying what you need to hear. “I forgive you.” I am still with you”. Take 25 breaths to do this. Feel them with you as you take another 10 breaths. Say that it is time to move on, but that you are moving on with love and gratitude. Let go of the personal object. If you are by water, release it into the water. Congratulations. You have moved forward with love and respect, and you will forever more look back with happiness. As a mindfulness teacher, my go-to for grief is meditation, always. But art therapy has helped me move on too. It’s been a few months since my father passed away. Anyone who has experienced the death of a parent knows full well how harrowing it is. It feels as though your spirit has been severed in two. When my father died, at first I didn’t believe it. His death was an accident and a shock. I denied it. Then it gradually dawned on me, over the course of a pone call with my mother, that he really was gone and would never be coming back. That was when the grief and loss began to set in. I felt so alone in the world, like a ship without anchor lost in a bizarre world. I drifted through the pain. At times it came pouring out of me and I wept. Grief seeped through my body, mind, and spirit like water through crevices. Today, the wound is still open and at times I will weep. What I really need, for myself and for my family, is to be able to truly let go of those emotions. I need to allow my father to be in heaven. I suppose that’s true, to an extent. I do know a great deal about how to cope with grief. Meditation has helped me immensely. But there’s a certain inalienable reality: losing a parent hurts no matter who you are, no matter how well equipped you are to cope. You can’t prepare yourself for such a life altering event. Losing a parent is a difficult challenge. I remember being at my father’s funeral, people placing roses, the music… sadness comes when I remember that day, and that is natural. No matter who you are, when you experience the death of a parent, or a loved one, or a friend or family member, there is pain. And that pain needs to come out. One way to stop the pain of loss is with art therapy. One of the modern creative holistic therapies, art therapy offers an opportunity to let pain out. When we grab a piece of paper and a paintbrush, a notepad and pen, or an instrument, and let go, we give our pain a channel through which to flow out of our bodies and minds. You might think that’s similar to talking to someone. When we talk to others we do offer ourselves a chance to express things. But talking to others is very conscious. We rarely, if ever, genuinely let ourselves go. Most of us don’t allow our words to flow through us freely. We filter ourselves for the benefit of the other person. This impedes our expression and impedes the release of our emotions. Art therapy, on the other hand, allows us to let go absolutely. We paint, or draw, without thinking, just letting the pencil or the paint splash out onto the page. But it’s more than paint. It’s our feelings, our fears, our thoughts, our suffering… it all comes flowing out. Art therapy can be an immensely emotional, spiritual experience, because there simply aren’t that many times in our lives when we just let go. Art therapy can help me to overcome the grief of losing my father, as it can help anyone to overcome the death of their parents. Sometimes, what you really need to do is just let go. Let it all out. Let those feelings, thoughts, and emotions splash onto the page. Watch them leave your mind. A painting can be more than a painting. It can be a profound, spiritually healing experience.